Santa Pod Raceway Santa Pod racing is the loudest and fastest motor sport in the world and is a must for all car-lovers and petrol-heads. Have a spectacular day out with the family as you listen to the engines roar its way to the finish line. The racecourse is situated about 1 mile away from Wellingborough, offering the public a great selection of world-class cars to watch. Monster Trucks, jet cars and rocket bikes are only a few of the extraordinary vehicles you'll get to see. Santa Pod Raceway offers over 50 great events over the season, with the majority being broadcast in TV. Come down and see the live action races and feel the wind blow with force as the gun is pulled and the race begins. There's nothing like watching classic cars at Santa Pod Raceway then arriving in a classic car yourself, give Lux Limos a call today to find out about our quality Pink Hummer Limo Hire to make you look the coolest Superstar at the races this weekend. Sywell Aviation Museum Visit the Sywell Aviation Museum this weekend to explore the in-depth history behind flying. From Fighter planes for the War, to the magnificent Concorde, Sywell Aviation Museum offers the public an extraordinary insight into the art of flying. How were airplanes invented? How were they involved in the First and Second World Wars? And how has flying evolved into the modern times? These are just a few of questions that have been answered inside the Sywell Aviation Museum. The Museum also has the recovered engine for the tragic airplane bombing in Hardwick in 1960, this has been kept well preserved since. With this and even more at the Sywell Aviation Museum, head down and discover for yourself the industry, workmanship and construction of the great airplanes of the last few centuries. Manor House Museum (Kettering) & The Alfred East Art Gallery Discover things you didn't know about Kettering in the Manor House Museum, with it's exciting 'hands-on' experience, visitors can interact with displays and presentations, finding out amazing history at the same time. Explore the different eras through meeting different characters and visiting past environments. For people with an interest in arts and culture will be major interested by the Alfred East Art Gallery and it's range of fine arts, crafts and photography. With it's ever-changing exhibition the gallery never looks the same twice in a row. Find a piece of art that inspires you? Why don't you buy it? The Alfred East Art Gallery offers talent around Kettering to display their art as well as sell it so all pieces inside the exhibition can be purchased. The Manor House Museum and Alfred East Art Gallery is an amazing experience for art and culture-lovers and families alike and presents the true history of Kettering in a fun and inventive way. Wellingborough Stretch Limo Hire - Experience the luxury of a stretch limo in Wellingborough. Wellinborough Party Bus Limo Hire - Get on board the party bus limo now in Wellingborough. Wellingborough Pink Limo Hire - Have a party in a pink limo. Wellingborough Hen Night Limo Hire - Party in the pink hummer limo. Wellingborough Cheap Limo Hire - Hire the cheapest limo or bentley flying spur car hire. Wellingborough Airport Transfer Limo Hire - Travel in style to your airport in the rolls royce phantom. 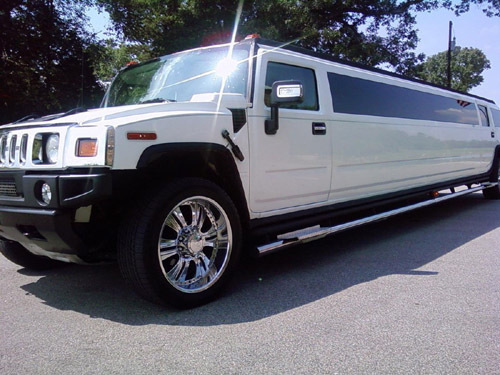 Wellingborough 21st Birthday Limo Hire - Happy Birthday in a H2 Hummer limo. Wellingborough Stag Night Limo Hire - Cruise the streets with the stag. Wellingborough Prestige Limo Hire - Hire a Bentley car hire..
Wellingborough Nightclub Limo Hire - Party in the party bus limo. Wellingborough Funeral Limo Hire - Hire a black hummer for a funeral. Wellingborough Anniversary Limo Hire - Hire a rolls royce phatom..
Wellingborough 24 Hour Limo Hire - Call us 24 hours, 7 days a week. Wellingborough Bentley Wedding Car Hire - Bentley Flying Spur for 4 people in a wedding. Wellingborough Rolls Royce Ghost Wedding Car Hire - The Rolls Royce is a good wedding car. Wellingborough Rolls Royce Phantom Wedding Car Hire - Rolls Royce Phantom is the only one in Wellingborough. Wellingborough Wedding Car Hire - The best in Wedding car hire. We have the best Limos in Wellinborough from Limo Bus, Rolls Royce Phantom to Hummer.